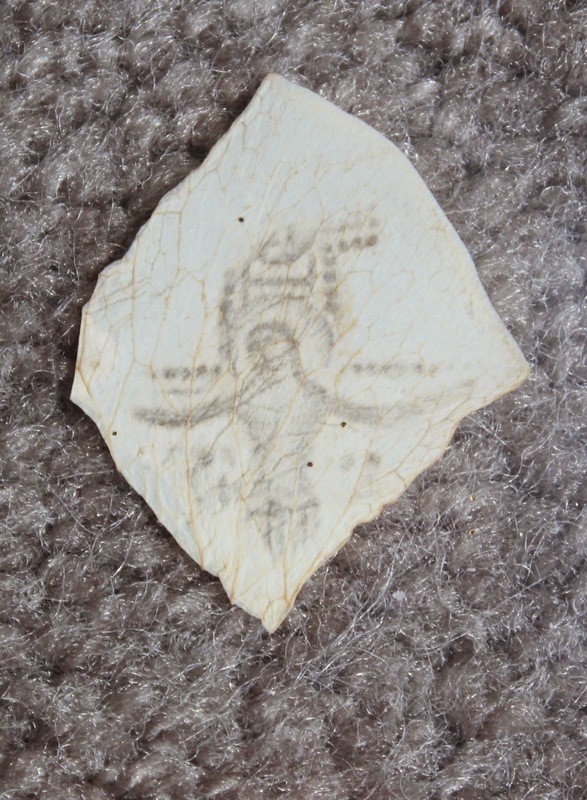 Miracles and Prophecies: ++ A Rose Petal from Carmelo Cortez: Five Miracles? 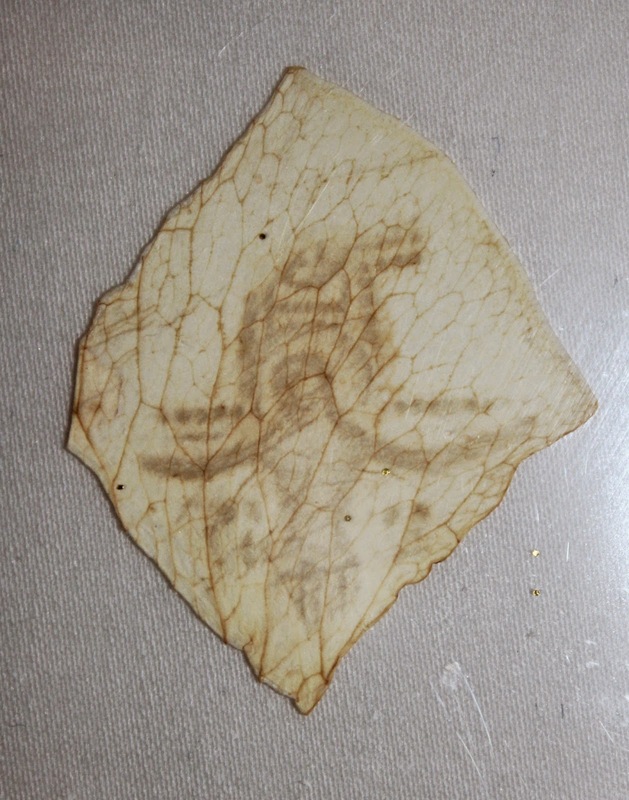 My friend had warned me to watch out for the mailer, saying it would include an extraordinary rose petal from Carmelo. But she had refused to describe it. So, when I received the envelope, I sat down on a leather chair in front of my bedroom display case and opened it with strong interest. At first, as I studied the gift (right), I was not quite sure what to make of it. The white rose petal had been mailed inside a plastic sleeve, much like the ones that are used to preserve baseball cards. This image was not obvious to me at first. But as I flipped and turned it, I soon realized that it portrayed Christ on the Cross. Yet, even though I hoped not to seem ungrateful, the likeness did not appear as realistic as every other one of Carmelo's rose petal images I had seen. I wondered, "Why are the arms rounded so unnaturally?" and "Why is the Cross ornamented and oddly shaped?" Then I raised my eyes and realized I was sitting directly in front of our replica of the San Damiano Cross; the one we had just returned to our display case. Even the heads of saints at each side of Christ's waist. Indeed, the elbows are unnaturally bowed. But these iconic arms represent one of the unique aspects of the San Damiano Cross. On it, Jesus is portrayed, not as the agonizing Christ but, instead, with arms outstretched, as if preaching the Gospel from the Cross. The fact that the image was of the San Damiano Cross, which I sat before when I first viewed the rose petal. However, God was not through. He had more miracles to share. 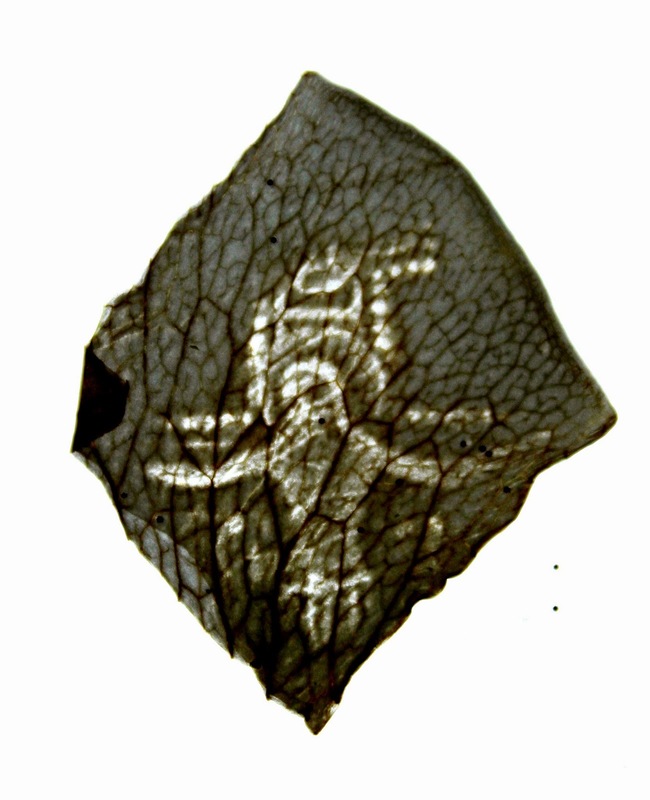 As I continued to study the rose petal under differing light conditions, I found another surprise: escarchas. (For more on escarchas, read here.) Sometimes called God's Glitter, this surprising phenomenon is believed to be another miraculous manifestation from God. So, chalk up miracle number four. 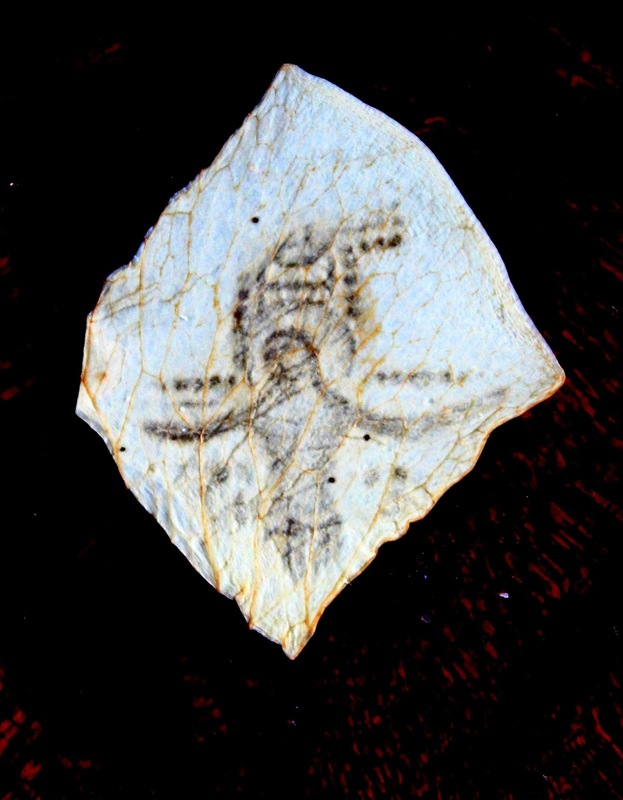 But God had another surprise for us; one that would help dispel the suspicion of some skeptics, that these images are somehow stamped or drawn onto the petals. During my continuing examinations, I kept noticing how the image appeared to change colors whenever its surroundings were altered. So, I tried another experiment. I held the petal up, in front of a window. Then I discovered that the bright light actually penetrated through the image. That surprised me because, until then, I had assumed the images, even if miraculous, had been imprinted, so to speak, on the petals. In other words, like with printed words on a page, I expected that the light would shine through the white paper and be blocked by the printed letters. However, my experiment demonstrated the opposite. The sunlight penetrated through the image more than the rest of the rose petal. 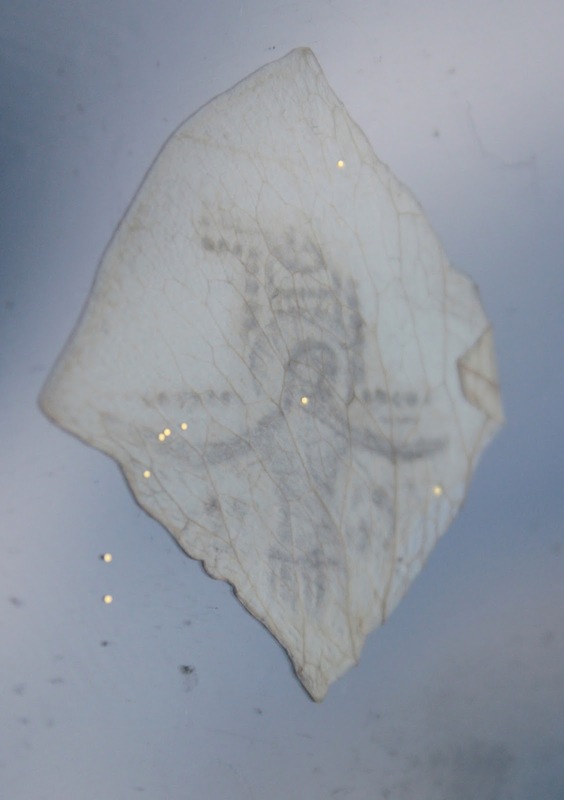 Wherever the image was, the rose petal became transparent or, at least, more translucent. To demonstrate this, I took a picture of the image in front of a bright window. (See below.) I also added contrast to the image, just to make the details more clear. Keep in mind that even though this looks like a negative, it is not. It can truly be said that this image represents the Light of the World. 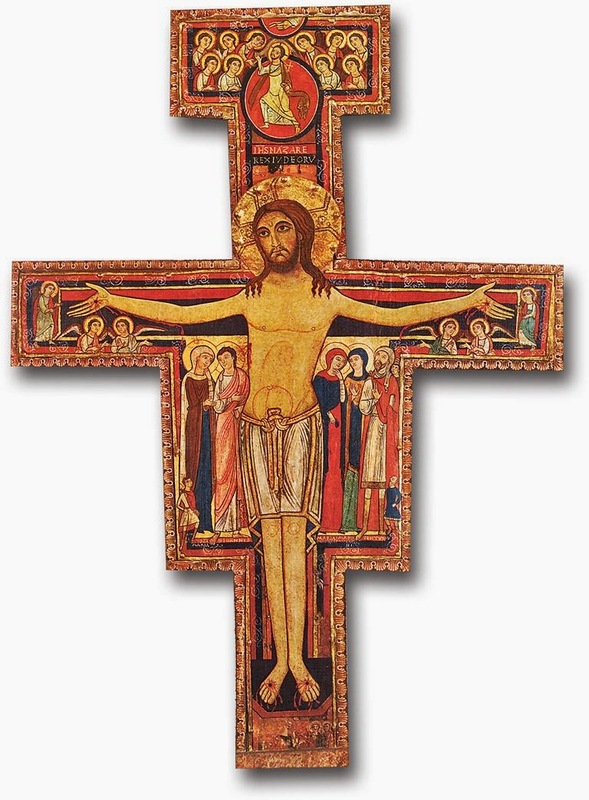 What is the significance of the San Damiano Cross? Could it have something to do with the fact that our Pope is named Francis? Could it be that, just like in the age of St. Francis, this is a time for rebuilding the Church? 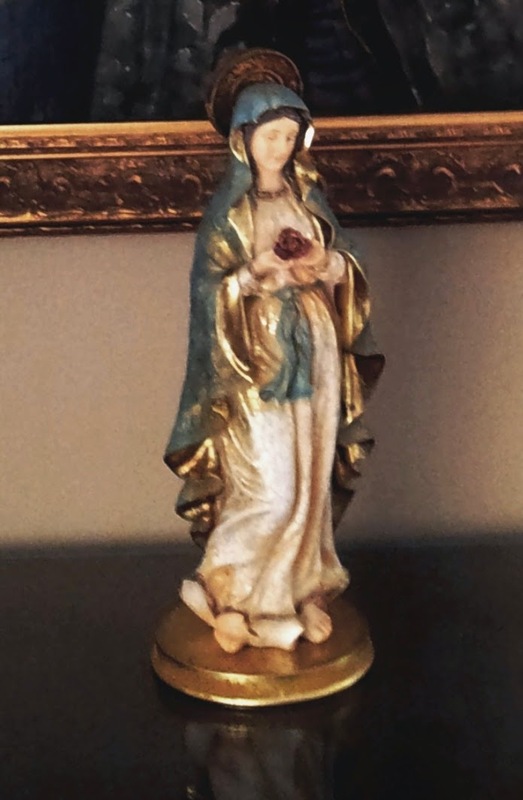 Was our statue of the Blessed Virgin, who was holding a blooming rose, a foreshadowing of the miraculous rose petal to come? Why would God manifest an image of an image? Every other rose petal representation I have seen (except perhaps the iconic image of Our Lady of Guadalupe) is of real people. Yet, another lingering question involves a completely different issue. Reportedly, over a six year period the Blessed Virgin appeared to Carmelo Cortez 101 times and, at every meeting, asked him to "pray for priests." Whether coincidentally or not, this is a calling I have been receiving in a big way, involving considerably more than just praying. (The subject of another blog post, some day?) But, regardless, priests today are on the front lines of raging Spiritual Warfare, maybe like never before. They deserve and need our prayers. My assurance that I am neither lying nor nuts.